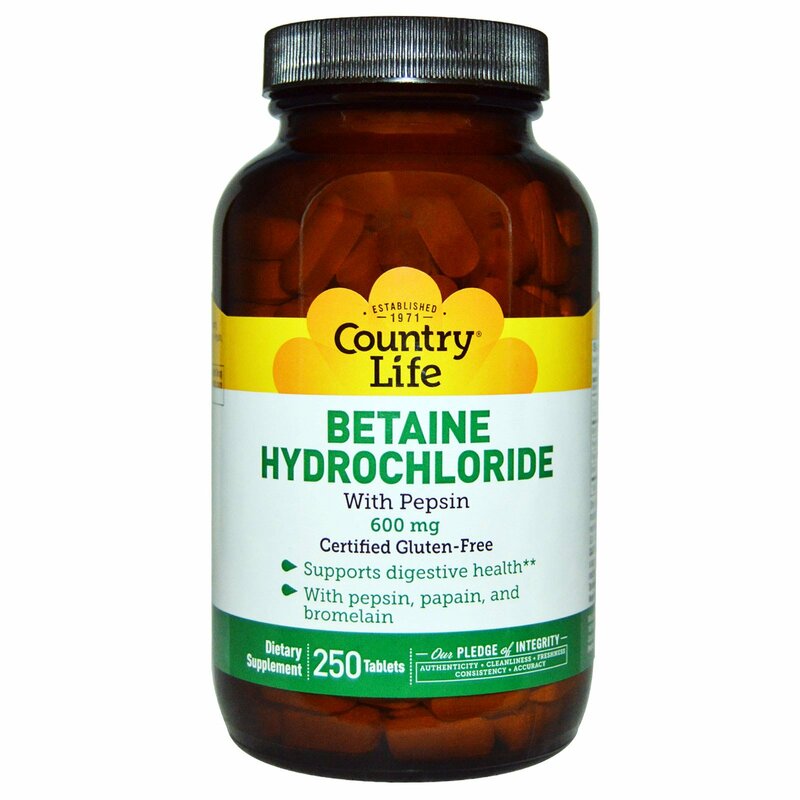 Betaine Hydrochloride is a chemical compound that helps support digestion in the stomach by providing a source of hydrochloric acid. 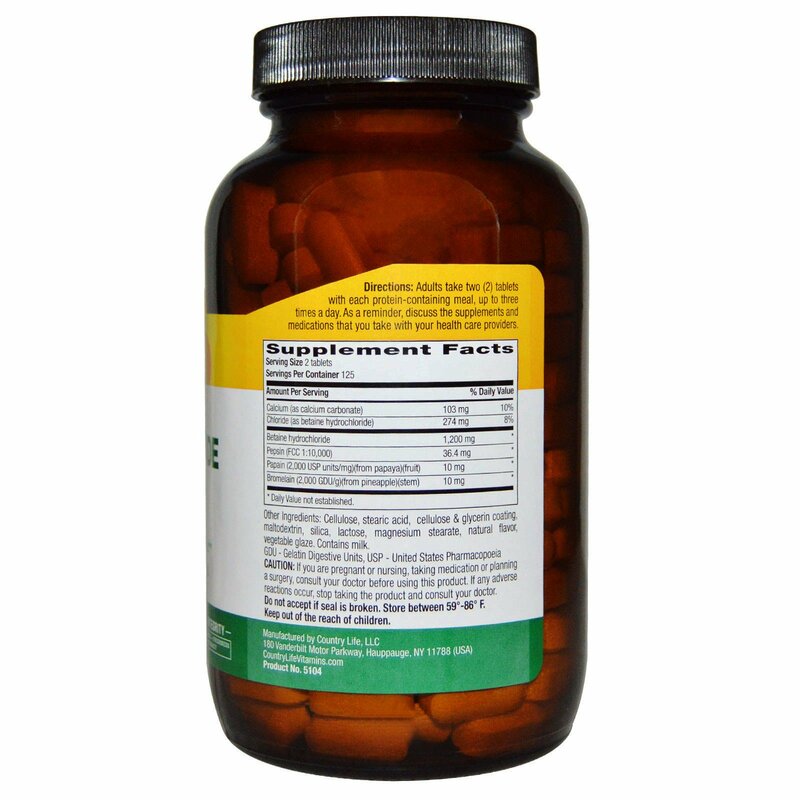 From a leader in Betaine HCL supplements, Country Life's Betaine HCL provides the digestive enzymes Pepsin, Papain, and Bromelain for additional digestive support. Adults take two (2) tablets with each protein-containing meal, up to three times a day. As a reminder, discuss the supplements and medications that you take with your health care providers. Cellulose, stearic acid, cellulose & glycerin coating, maltodextrin, silica, lactose, magnesium stearate, natural flavor, vegetable glaze. Contains milk.